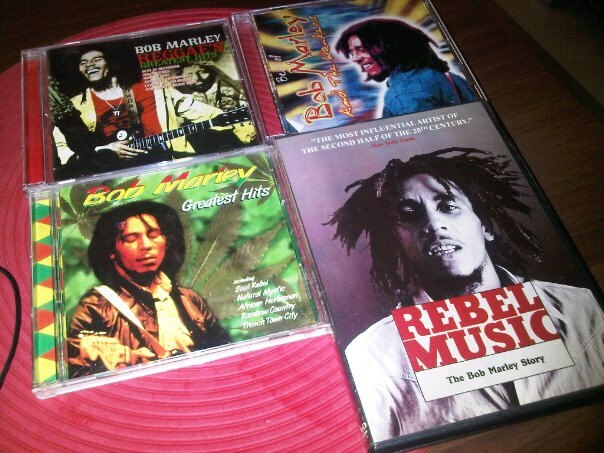 I was cleaning up my closet and found these 3 audio CDs and 1 DVD of his highness Bob Marley. I remember, someone ask me if I like reggae. I showed him these CDs and said "yah man, wanna jammin'." So, I watched the DVD once again and there were something that I want to quote from his wife Rita, "Bob, is a rebel and he fought using his music. His M-16 is his guitar." "My music will go on forever. Maybe it's a fool say that, but when me know facts, me can say facts. My music will go on forever."